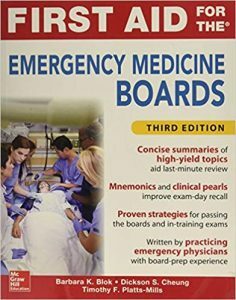 THE INSIDER’S GUIDE TO ACING THE EMERGENCY MEDICINE BOARDS – NOW WITH FULL COLOR PHOTOS! 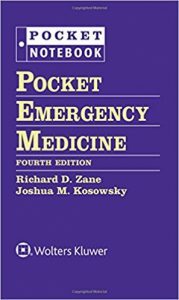 Pocket Emergency Medicine, Fourth Edition, provides accurate, actionable, and easily accessible information for clinicians on the front lines of emergency care. Designed to be used at the bedside, it’s an outstanding go-to source for the essential information you need to care for patients in life-threatening situations. This volume in the popular Pocket Notebook series provides a concise and focused review of the entire field of emergency medicine – from history and physical exam to differential diagnosis testing to therapeutics to disposition – all in one easy-to-navigate looseleaf notebook. Features: Mirrors the thought process of emergency medicine clinicians in day-to-day practice. Fully updated throughout. Bulleted lists, tables, diagrams, and algorithms make essential facts easy to find and retain Covers all major organ systems, plus emergencies related to the environment, pediatrics, the psychiatric patient, toxicology, airway management, trauma, and more. 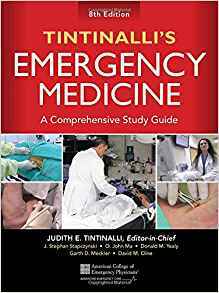 Contains useful quick-reference appendices on abbreviations, PALS, ICU medications, equations, and more. Written by emergency medicine residents from the University of Colorado and Harvard University, and edited by senior faculty. Manage airway emergencies with confidence! 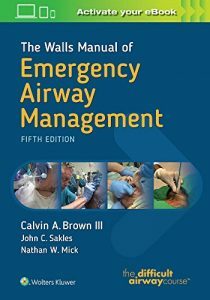 The Walls Manual of Emergency Airway Management is the world’s most trusted reference on emergency airway management, and is the foundation text in the nationally recognized The Difficult Airway Course: Emergency(TM), The Difficult Airway Course: Critical Care(TM), and The Difficult Airway Course: EMS(TM). Its practical, hands-on approach provides all the concrete guidance you need to effectively respond to any airway emergency, whether in the emergency department, ICU, urgent care setting, pre-hospital environment, or anywhere else airway emergencies may occur. 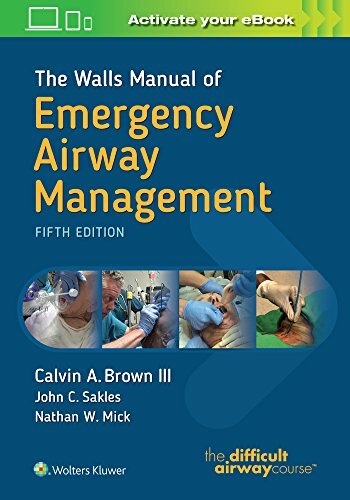 *Apply the latest evidence-based approaches to all aspects of airway management.New chapters include Managing Retroglottic Devices, Controversies in EMS Airway Management, The Unstable Patient: Optimization for Emergency Airway Management, and Safe Extubation of the At-Risk Emergency Patient. Discover expanded coverage of preoxygenation techniques and comprehensive updates throughout. 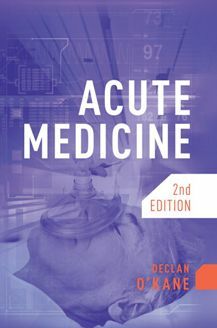 Acute Medicine 2e is a current and concise guide to hospital emergency medicine for registrars, junior doctors and medical students working on the wards. This new edition has been comprehensively revised and updated to incorporate the latest treatment guidelines. It has been substantially rewritten and streamlined to enable the reader to access the pertinent information even more quickly. 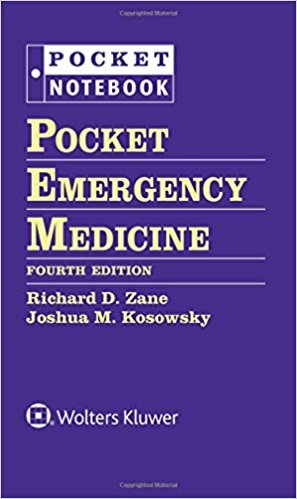 Pocket Emergency Medicine, Fourth Edition, provides accurate, actionable, and easily accessible information for clinicians on the front lines of emergency care. Designed to be used at the bedside, it’s an outstanding go-to source for the essential information you need to care for patients in life-threatening situations. This volume in the popular Pocket Notebook series provides a concise and focused review of the entire field of emergency medicine — from history and physical exam to differential diagnosis testing to therapeutics to disposition – all in one easy-to-navigate looseleaf notebook. Mirrors the thought process of emergency medicine clinicians in day-to-day practice. Covers all major organ systems, plus emergencies related to the environment, pediatrics, the psychiatric patient, toxicology, airway management, trauma, and more. Contains useful quick-reference appendices on abbreviations, PALS, ICU medications, equations, and more. Written by emergency medicine residents from the University of Colorado and Harvard University, and edited by senior faculty. This text was developed to help providers who evaluate low acuity complaints in any setting. The aim is to highlight common pitfalls in the management of those seemingly minor illnesses or injuries, which if not identified early or if managed incorrectly can have devastating and longterm consequences. This text will bring the provider’s attention to high-risk aspects of chief complaints that may be encountered in a variety of low-acuity settings. Focused on high-risk pitfalls practitioners may encounter in everyday practice, each of the book’s chapters is written by an expert chosen for his/her expertise in their respective topics. Chapters include clinical pearls for improving patients’ outcomes. If you see patients in an urgent care center, minor injury unit or other acute care setting, this new clinically-focused guide will help you avoid high-risk pitfalls and achieve optimal outcomes. 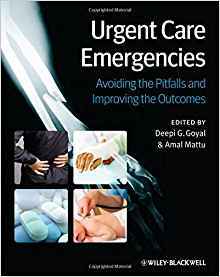 The book also includes chapters on common pitfalls during the HEENT examination, effective patient communications, urgent care pharmacology pitfalls, special issues in the care of pediatric and geriatric patients, and more. Each chapter is authored by an experienced acute care clinician and includes clinical pearls that you can apply directly to the care of your own patients. The urgent care center can be a challenging and fast-paced environment, and pitfalls, especially those encountered during emergencies, can have serious consequences for patients’ immediate well-being, their recovery time, and possibly their long-term prognosis. More than ever, you need a resource you can trust that has been tailored specifically to the needs of providers in the low-acuity setting. This volume provides fresh insights and management understanding of the changing role of the ambulance services against the backdrop of massive cuts in health budgets around the world and the changing context of pre-hospital care within the wider healthcare networks. The challenges of funding, training and cultural transformation are now felt globally. The need to learn and adapt from suitable models of ambulance service delivery have never been greater. 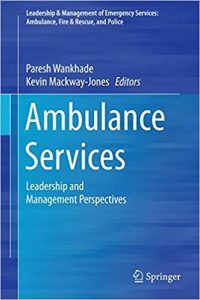 The book offers critical insights into the theory and practice of strategic and operational management of ambulance services and the leadership needs for the service. One of the highlight of this volume is to bring together scholarship using experts- academics, practitioners and professionals in the field, to each of the chosen topics. The chapters are based in the practical experiences of the authors and are written in a way that is accessible and suitable for a range of audiences. We are confident that this book will cater to a wider audience to inform policy and practice, both in the UK and internationally. “With a year on year increase in demand for emergency ambulances and over 9 million calls annually, the UK Ambulance Service must change from its emergency care and transport focus model. With the increase in professionalism of paramedics and an uplift in assessment and clinical skills the modern paramedic is increasingly able to treat at home, direct patients with alternative care pathways and avoid transportation to overburdened Emergency Departments. Whilst there is some historical and cultural resistance to change there is a need for further development in clinical skills and a new perspective for the future Ambulance Service. 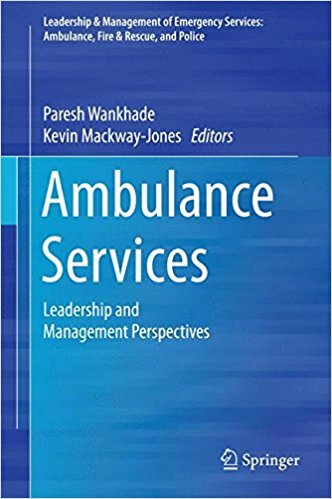 This book brings together practitioners, managers, academics and provides a broad understanding of the major management issues in the UK Ambulance Service. It includes the history of the Ambulance Service, quality and risk management issues, commissioning, leadership, intra-operability and shape of the future ambulance service. The content will be of interest to students, practitioners and academics”. 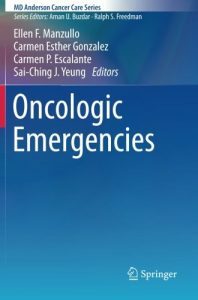 This new resource on managing oncologic emergencies is directed at all health care professionals who care for patients with cancer or survivors. 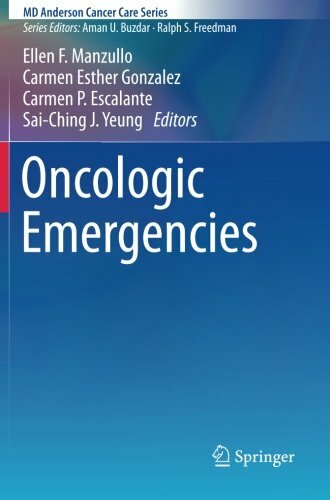 Edited and written by clinician-experts at The University of Texas MD Anderson Cancer Center, the book covers the full range of oncologic emergencies, from cardiac and neurologic to orthopedic to hematologic, and addresses important palliative care, ethical, and Emergency Department considerations. Chapters are structured with busy clinicians in emergent and urgent settings in mind, and each chapter concludes with a series of key practice points and a list of suggested readings for those who wish to delve deeper into a subject. 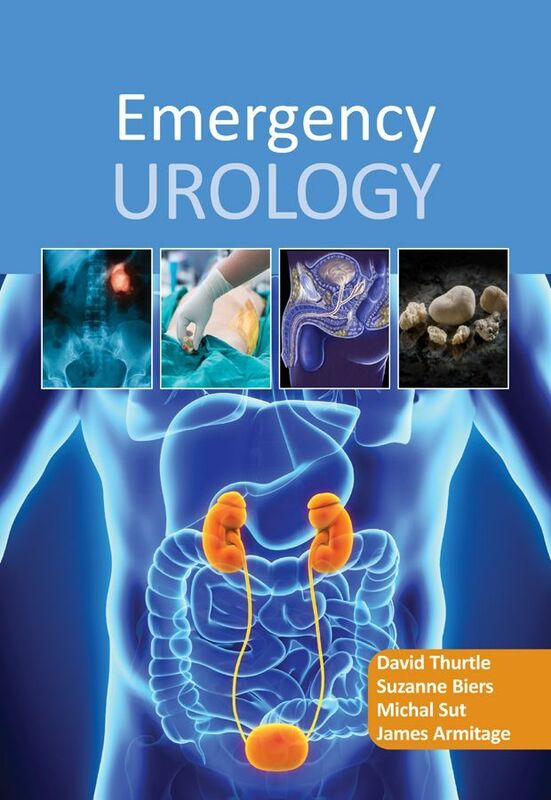 For any clinician facing the increasing number of patients who experience an oncologic emergency, this is an up-to-date, clinically focused, and authoritative resource.